SAMUEL L JACKSON has said he wasn’t trying to slam black British actors when he criticised their casting in American films such as the horror hit Get Out and the Martin Luther King Jr drama Selma. Jackson told the Associated Press his comments on Monday on the radio station Hot 97 weren’t necessarily misunderstood, but his criticism was not of the performers – rather of the system that allows black actors from overseas take prominent roles in American films. “It was not a slam against them, but it was just a comment about how Hollywood works in an interesting sort of way sometimes,” Jackson said at the premiere of his new film Kong: Skull Island. Jackson noted on Monday that a lot of roles are going to British actors. He said he wondered what Get Out would have been like “with an American brother who really feels that”. Jordan Peele’s film is about an African American photographer, played by the British actor Daniel Kaluuya, whose white girlfriend brings him home to her parents’ house. Jackson also pointed to Ava DuVernay’s Selma, which starred David Oyelowo as King. His comments drew criticism from John Boyega, the British Star Wars actor, who on Twitter called the debate a “stupid” conflict “we don’t have time for”. Yesterday, Jackson was complimentary of the skills and hard work black British performers put in to take on American roles, but he said that was a one-way street. 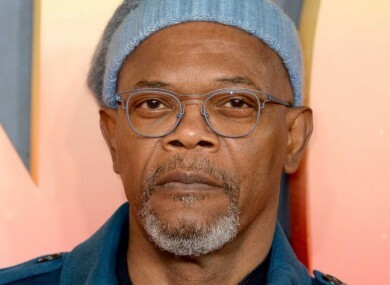 Email “Samuel L Jackson clarifies comments about British actors ”. Feedback on “Samuel L Jackson clarifies comments about British actors ”.